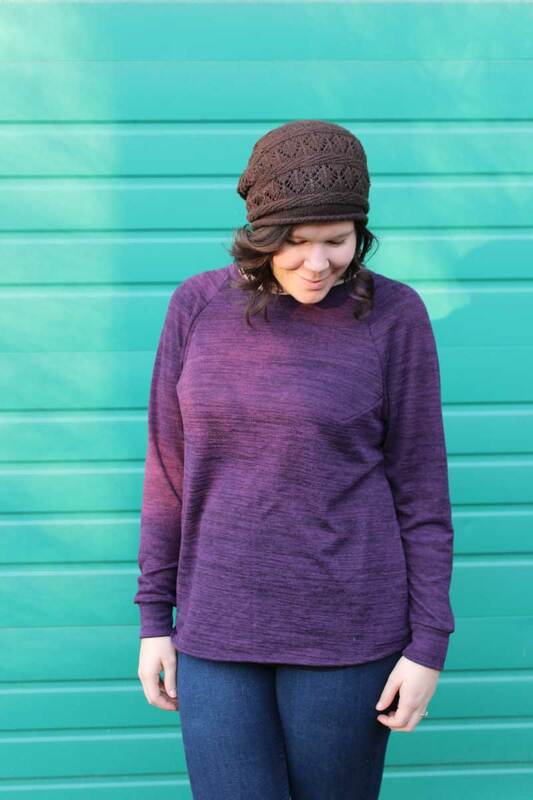 I am really excited about the Indie Sew winter collection this year! It is the first bundle I’ve purchased from them and I am super stoked to make all three pieces. First up we have the Bethioua sweater from Elle Puls. This sweater features a raglan batwing sleeve and a very cool back yoke detail. I love the drapey fit of this sweater, making it perfect for thinner knits. The fabric is slightly see-through, but in these shots I actually can’t see my tank top underneath so… yay! When I was cutting out the Bethioua I had a moment of total confusion over the cuffs and neckband. These pieces are not included in the pattern because they are simple rectangles. There is a chart in the instructions that tells you what size to cut for your sweater. This is why you are supposed to read all the instructions before starting lol! The Bethioua has bust darts to help give it shape, and it also has interesting shoulder darts which I have never encountered before. They help the sleeve to fit over the shoulder really nicely, I am a big fan! The back is really the star of the show here, with that lovely center seam on the yolk. It is a great opportunity for fabric mixing, or, if your fabric has a subtle stripe like mine, you can create a cool v-shape effect in the back. It seems the 70’s look is in this season, so I’m channeling my inner That 70’s Show for these pics. How am I doing? Great post! I love the fabric colour. Hot Donna! This looks great on you! I love that colour and the seaming details are awesome!